Is It Possible to Download and Record iPlayer Radio? Can't Record & Download BBC iPlayer Radio? Help out! 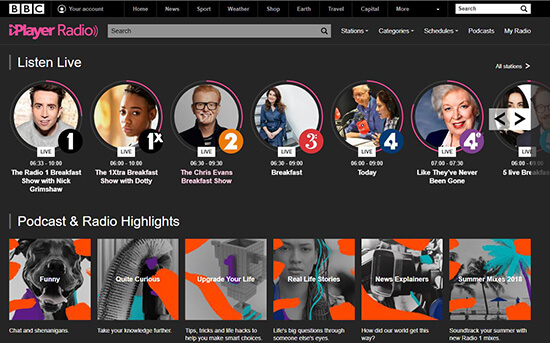 A great demand exists for downloading and recording radio programmes from BBC iPlayer, which comes from a large quantity of BBC users, Moo included as well. Nevertheless, as a matter of fact, it is not as difficult as you think. We can take advantage of direct solution from BBC iPlayer to download whatever we appreciate or make use of indirect method to record iPlayer radio effectively. Well, there is no need to say more; just catch up with us to see how to download and record iPlayer radio. Part 1. What's BBC iPlayer? As an internet streaming, television, catch-up and radio service from British Broadcasting Corporation, BBC iPlayer, a reputable platform, draws much attention from tons of viewership all over the world. This service offers national radio stations and local radio stations to cover music genres as well as local news in its own way. Meanwhile, you can enjoy yourself in its online audio content. It is compatible well with various popular devices, like personal computers, mobile phones, tablets and smart TVs. Since 2015, BBC iPlayer open the permission to play both audio and video content via HTML5 standard in web browsers instead of via its media player mobile app or Flash. If you are fond of using BBC iPlayer for entertainment, you are bound to know that due to rights issues, BBC iPlayer only works in the UK. This is the reason why it to a large extent is referred to as the live streaming channel for the residents of UK. To get yourself out of the region limitation, you can set about downloading the radio shows in UK and then listening to them anytime anywhere even at unauthorized places. Next you can use the built-in "Download" button in BBC iPlayer to download any radio programme at your will. Step 1: Navigate to BBC iPlayer Radio or open your BBC iPlayer app to figure out which streaming audio or radio programme you get ready to download. You can type in and search it by using the "Search" bar or straightly access to different menu, including "Station", "Categories" and "Schedules". Step 2: You can listen to the selected radio track online without hassle once you click it for listening. To download it, you should tap on the "Download" option below the playback screen. At the same time, you can hit "Add to My Radio" to add it to your own radio as well. Step 3: BBC iPlayer Radio will start to download your required radio track in no instant. As long as the downloading task is completed, you can go to the "Download" section to find it. Note: Owing to BBC iPlayer's strict rights agreement, some BBC radio programmes are not permitted to be downloaded by using above approach. Alternatively, even though you download designated radio tracks successfully, you are only entitled to listen to them offline for 30 days. That is to say, after 30-day valid period when they are broadcast, the downloaded BBC iPlayer radio tracks will be get rid of from your "Download" section and are not available to enjoy. Apparently, the download option provided in BBC iPlayer radio accompanies with unpleasing drawbacks, such as limited authorization to download some radio tracks and obsessed offline accessible expiration. If you wonder how to keep BBC iPlayer downloads forever, you should take the aid of a trouble-free iPlayer radio recorder, like Joyoshare Screen Recorder, to record any of them without restriction. 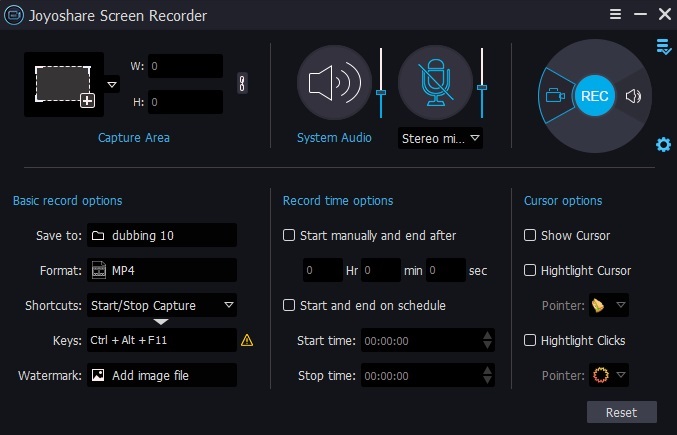 Adopting advanced capturing technology, this mentioned recording tool can help you grab any ongoing audio activity in high quality. Based on your own preferences, you can even capture system audio and microphone sound flexibly. Other than that, it offers possibility to skip unwanted content and cut recording radio to different sections. By means of it, there is no problem to save finished recording to popular format, for instance, MP3, M4A, AAC, OGG, AIFF, WAV, M4B, M4R, FLAC, etc. For professionals, it's also practical to specify codec, channel, bit rate and sample rate handily. Double click the icon of Joyoshare Screen Recorder on your computer's screen to run it. Then you should switch to "audio" recording mode by pressing the icon. To prevent unexpected intervention during recording process, you'd better turn on system audio only and keep microphone sound closed. Note: Joyoshare Screen Recorder can be applied to record desktop video activity as well, like YouTube video, Skype calls, Facebook chats, GoToMeeting webinars, Google Hangouts, class lecture, etc. To do that, you just have to choose video recording mode near to "REC" button. It allows you to stylize capturing area, add cursor effect, create recording task, take snapshots, etc. Hit the gear icon at the bottom right corner to bring up all hidden options for later BBC iPlayer radio track recording. You can change storage location, select desired format, preset given shortcut, create recording task, etc. Or enter the format option to select specific parameters if you guarantee that you can keep higher quality for destination recording file. Considering all preparations are done, you can go ahead to click "REC" button to initiate recording. 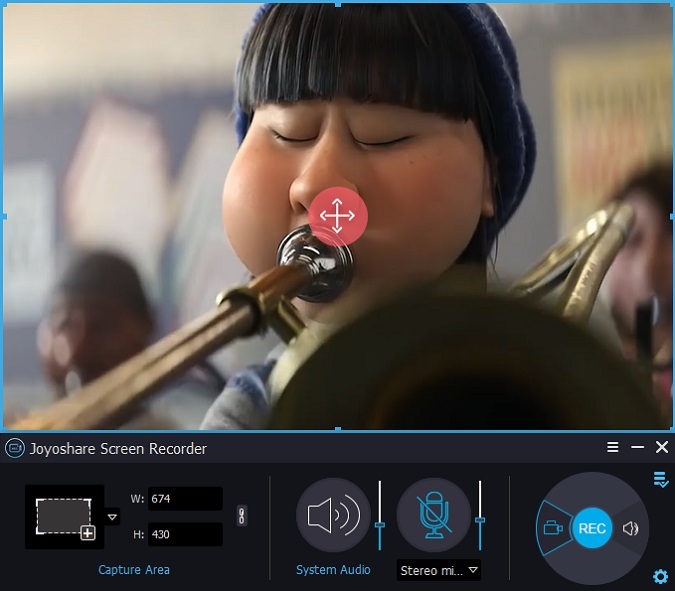 When it is in process, you have right to skip unwanted portion by pressing the "Pause" button and slice your recording by hitting the "Scissors" icon. Joyoshare iPlayer Radio Recorder will lead you to "History" list after the recording assignment is finished, from which you can see all recorded BBC iPlayer radio tracks. Hereafter, you can hit the "Search" icon to find local folder or click the "Edit" icon to revise related ID3 info. 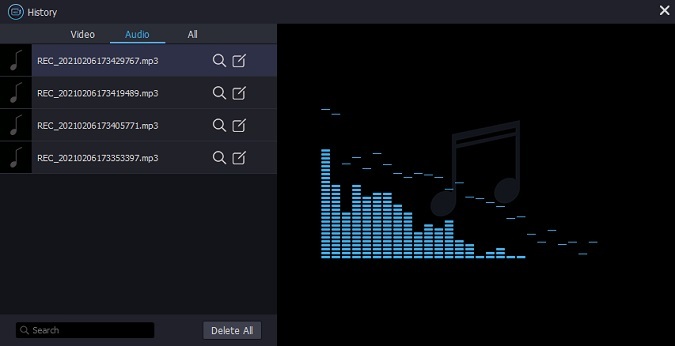 Having double clicked the audio file, you can listen to it to see whether it is satisfying. If not, delete it as you like.